A Molcajete is a stone mortar used mostly to grind chiles for salsa. Originated in the state of Oaxaca. 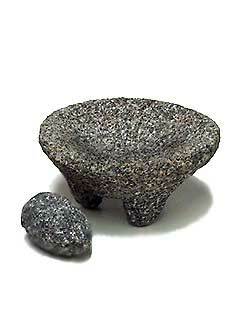 Molcajetes come in different shapes, one very popular in central Mexico is the Pig Molcajete.